A major conceptual thread running throughout my art practice is the critique of 'value' in the ecology of the art world: the way that value is gained and lost in the most elusive ways in art ecologies. 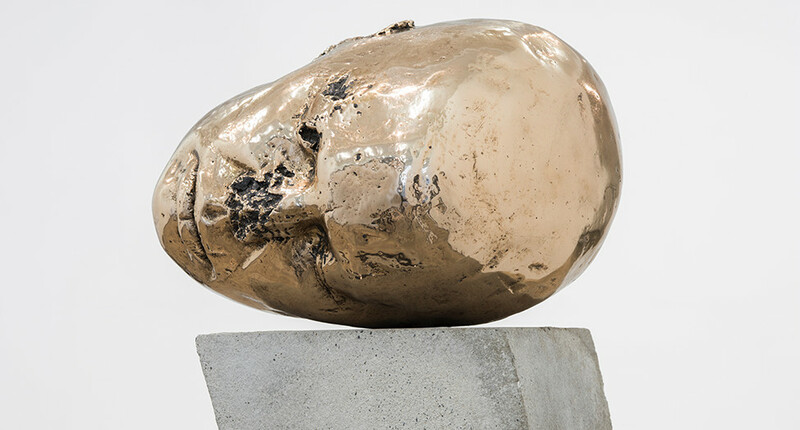 My version of Brancusi's Sleeping Muse is very much de-monumentalised; the original sculpture of my face and head had been kicked around the back yard like a football by my cheeky dog Charlie, who also chewed its nose and ears off. I love that as the piece became increasingly battered, it simultaneously became increasingly 'muse'-like, in the Brancusian sense - the edges had been affected by the chaos of daily life: softened and rounded out by the sheer force of living. Needless to say, I chose to cast it just as I found it. Thank you Charlie. Sanné Mestrom is an Australian artist who studied at Melbourne's RMIT, including a Doctorate in Philosophy, Fine Art. Her work has been the focus of over 20 solo exhibitions and has also been included in countless group exhibitions. Between 2001 and 2012, Mestrom accepted artist residencies in Korea, Amsterdam, Mexico and most recently a two year residency at Gertrude Contemporary Art Spaces in Melbourne. 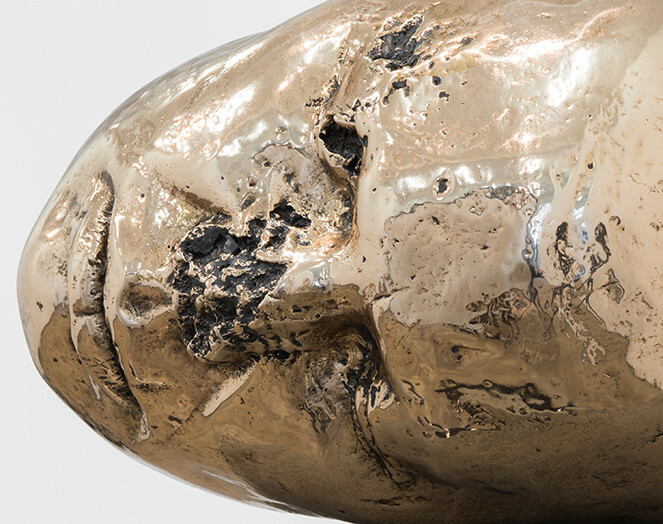 Numerous grants and commissions have included the Monash University Museum of Art Ian Potter Sculpture Commission for New Public Art, whilst her awards include winning the 2013 Credit Suisse / Art & Australia Emerging Artist Award and the 2013 John Fries Memorial Prize, Sydney. Judges of the 2017 Woollahra Small Sculpture Prize: Djon Mundine OAM (Curator, Writer, Artist and Activist), Roslyn Oxley OAM (Gallerist and arts benefactor) and Alexie Glass-Kantor (Executive Director, Artspace, Sydney and Curator, Encounters, Art Basel | Hong Kong).